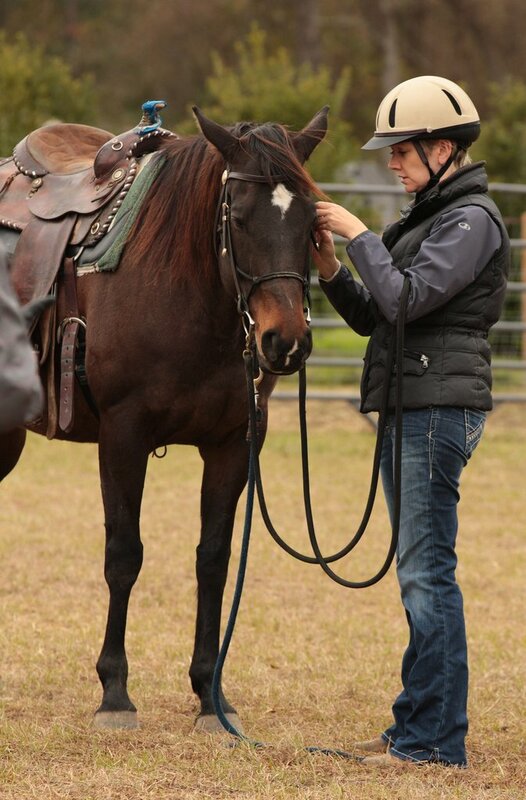 When moving from Virginia to Houston in June 2014, finding a place to be with horses was my first priority! I found Henry’s Home Horse and Human Sanctuary, and met Donna and the horses, even before finding somewhere to live! Growing up in New Zealand, I have happy childhood memories of riding my Aunty and Cousin’s horses, but University studies, living in the city and an international corporate career meant horses and riding wasn’t high on the list of activities to pursue. All that changed one day when I received adult riding lessons as a birthday gift, rekindling a passion for horses. Riding now has become an essential part of my life. For me, riding and spending time with horses is the perfect break from my busy job at a multi-national company and a key part of my “active relaxation” philosophy. You can’t think about work while you’re riding! As well as expanding my skills as a horse woman, Henry’s Home offers an opportunity for continued learning and growth in horse husbandry, care and training. In return, I am able to contribute to Henry’s Home with my professional skills in marketing and business development, financial governance, strategic planning, project management and prior Directorship experience. The most important part of Henry’s Home is the amazing people, the very special horses and the services that Henry’s Home offers to the community that I feel truly honored to be involved with.